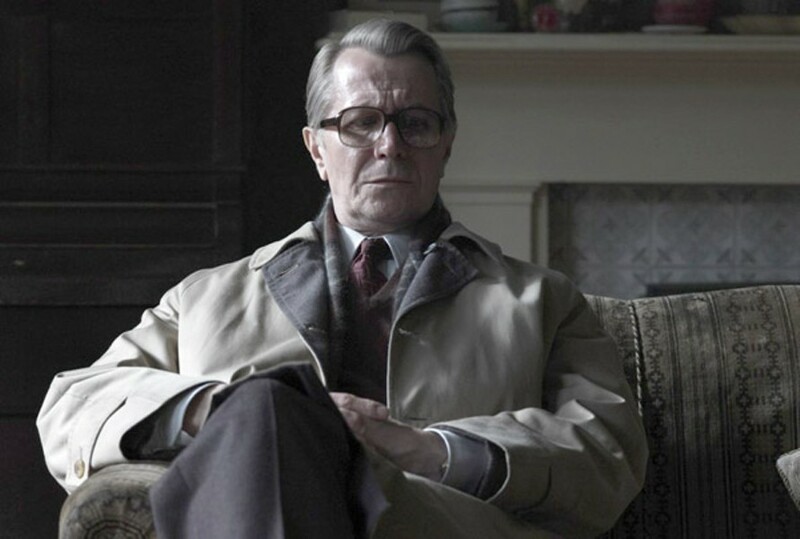 SORDID GLEAM As George SMiley, Gary Oldman is fantastic - and of course, unsmiling. Habits of secrecy and arrogance breed monstrous behavior in the stunning new version of John le Carré's Tinker Tailor Soldier Spy. The story unfolds in the early 1970s. The Cold War still has England frozen. The Secret Service is the most paranoid place in this war, and its denizens face news that a top-level mole is pipelining secrets to the U.S.S.R.
Director Tomas Alfredson (of the original Let the Right One In) creates a thick impasto of early-1970s British despair. His spies are men dripping in athletic-club shower rooms or swimming in a crowded pond of cold water. Such is the world of George Smiley (Gary Oldman), the man once next in line for control of the British Secret Service until he and his boss (John Hurt) were forced to resign after a particularly bad fiasco in Budapest; there, British agent Jim Prideaux (Mark Strong) was shot in the back by the KGB. The mole suspects include one of the most baleful actors alive, Ciarán Hinds, as Roy Bland; Colin Firth as an icon of condescension; Toby Jones; David Dencik as a downy Toby Esterhase, last seen wailing for his life; and Benedict Cumberbatch as the too-natty Peter Guillam. And out in the cold: the ominous Tom Hardy as polyester-swathed leg breaker Ricki Tarr. The director keeps the deepest cause of Smiley's solitude off-camera, his straying wife, Ann. Oldman is startling here, even after years of superb supporting work. The sordid job of spying excites him internally—he has a fetishist's gleam—and his performance is dark and vivid, even if it's superficially quiet. His Smiley (naturally not a smiler) is a man who radiates authority, even while fulfilling le Carré's description of someone who makes a room emptier every time he enters. 'Tinker Tailor Soldier Spy' is playing at Summerfield Cinemas.